With its comprehensive, step-by-step approach, this video tutorial course teaches you the basics of surface design and modeling in SolidWorks, and how to put your skills to use by building real-life projects.Volume 2 of VTN's Learn SolidWorks by Video course is for intermediate / advanced users of SolidWorks. Created by expert 3D engineers, each video tutorial gives you helpful tips for achieving faster mastery of tools and functions. 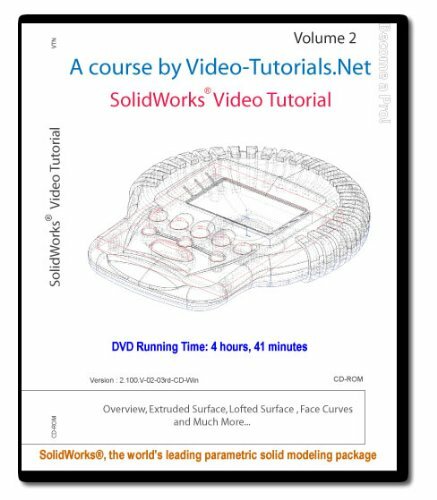 - Disc containing 4:41 hrs of SolidWorks 2007 video tutorials in 61 video lessons covering Surface Design & Modeling in SolidWorks. - Online library access is a SolidWorks 2009 update to the disc plus more case studies and part files. 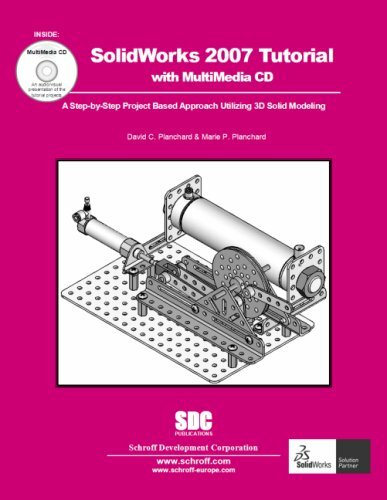 Filmed in SolidWorks 2009, it is applicable to SolidWorks 2010 and SolidWorks 2011. 6:05 hrs; 102 video tutorials. It covers SolidWorks Surface Design and Modeling. Please visit our website for many sample videos.VTN is a Certified SolidWorks Solution Partner.We supply some of the biggest companies in the world, schools, and governments with the highest quality video training available today. Your disc will ship next business day via media mail, and you will be assigned online access shortly after your purchase, via the Amazon interface. We ship worldwide, including APOs and POs. Requirements: this disc plays in your computer; 1200 x 900 min. screen size, Adobe Flash Player. Online access needs internet connection. -" No wasted time and no information overload," Mark J., UK.